Greeley officials want community members to have a say in future drainage improvements and development in the Sharktooth Bluffs Basin — north of 10th Street and west of 71st Avenue. Although mostly undeveloped, officials expect the Sharktooth Bluffs Basin to see more development soon. In addition, buildings and development already within the basin experience some drainage issues. The City has been studying the basin and developing ideas to guide future development and address the existing drainage issues. To best plan improvements that could help with drainage issues, Greeley officials need to hear from people who live, work, and commute in that area. 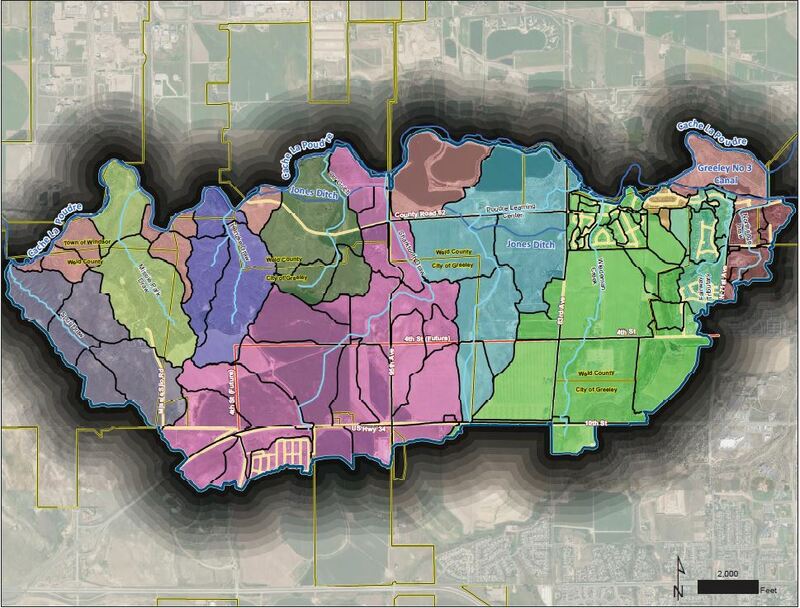 Greeley officials will hold a special public Meeting 6:30 p.m. Wednesday, Feb. 13, at the Greeley Family FunPlex, 1501 65th Ave. During the meeting, city staff will discuss the drainage master plan and get feedback about stormwater conditions in the area. Feedback and comments from the public meeting will help the creation of a drainage master plan for the Sharktooth Bluffs basin. For more information go to greeleygov.com/services/pw/transportation/mobility, or contact Stormwater Engineer Andrew Fisher at (970) 350-9797 or Andrew.Fisher@GreeleyGov.com.